From weekend homes to get-away cabins in the mountains, by the sea, or in the woods, this architecture embodies our longing for lounging in nature. For the first time in the history of humankind, more people live in cities than in the country. Yet, at the same time, more and more city dwellers are yearning for rural farms, mountain cabins, or seaside homes. These kinds of refuges offer modern men and women a promise of what urban centers usually cannot provide: quiet, relaxation, being out of reach, getting back to basics, feeling human again. 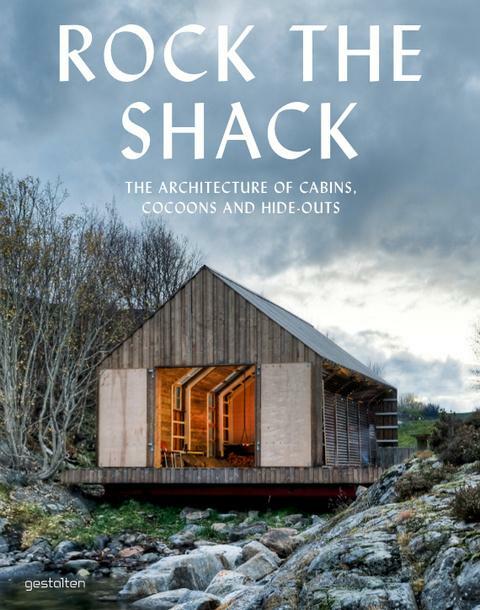 Rock the Shack is a survey of such contemporary refuges from around the world - from basic to luxury. The book features a compelling range of sparingly to intricately furnished cabins, cottages, second homes, tree houses, transformations, shelters, and cocoons. The look of the included structures from the outside is just as important as the view from inside. What these diverse projects have in common is an exceptional spirit that melds the uniqueness of a geographic location with the individual character of the building’s owner and architect.